The oft-stolen Ghent altarpiece is being restored at a cost of $1.3 million, only a piece or two will be removed from display at a time. 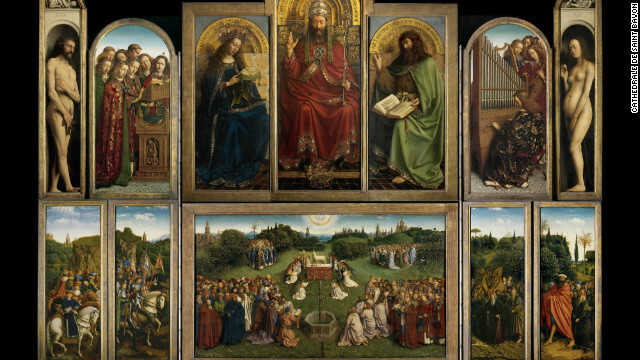 But if you can’t make it to Ghent you can view the whole altarpiece in 100 billion pixels here. The now-closed Knoedler art gallery has settled a suit involving an allegedly forged Jackson Pollock. In case you missed it, Arnold Peter Weiss, a prominent physician and coin collector wrote an essay on buying ancient coins as part of a plea agreement. Chasing Aphrodite has published the essay on scribd. Public lands officials in Idaho are urging people not to disturb the increasing number of antiquities and other sites which are being revealed by the plague of forest fires. Apparently some use their art to secure loans. The four thieves in the theft of Chinese art from the Fitzwilliam in Cambridgeshire have been convicted, but where’s the art? “My lawyers said at the time, ‘Ken, when your own victims circle the wagons to prevent you from being indicted, that’s got to be the definition of the perfect crime. '” Why would they protect him? Perhaps a better question is why would they turn him in? To do so would reveal not only the fact that they were duped. It would also mean they could not continue profiting from his work. “I would say from the art world establishment… the money is immaterial. They’re not interested in trying to recover money at all. What they are worried about is their reputation. … At the time of [the FBI] investigation, they had several important paintings that had gone through the auction houses that they knew were authored by me. And by looking at those paintings they would say, ‘Oh my God, if he was good enough to do this, this certainly wasn’t the first. So if he’s indicted, what is this going to open up? '” What it would open up, Perenyi suggests, is that there are well over a thousand of his paintings out there right now, masquerading as “authentic.” How does that impact the buyers of these works? The focus of the ART LAW SCHOOL is to introduce the artist to the “must-know” legal and business issues that arise when making art. The Art Law Blog wonders about the big sale of Warhol’s by the Warhol foundation: If it’s not the tax exemptions, what is it? No one would suggest that what the Warhol Foundation is doing is “unethical” or “repulsive” or “Stalinist.” Nobody questions the right of artist-endowed foundations to sell work. 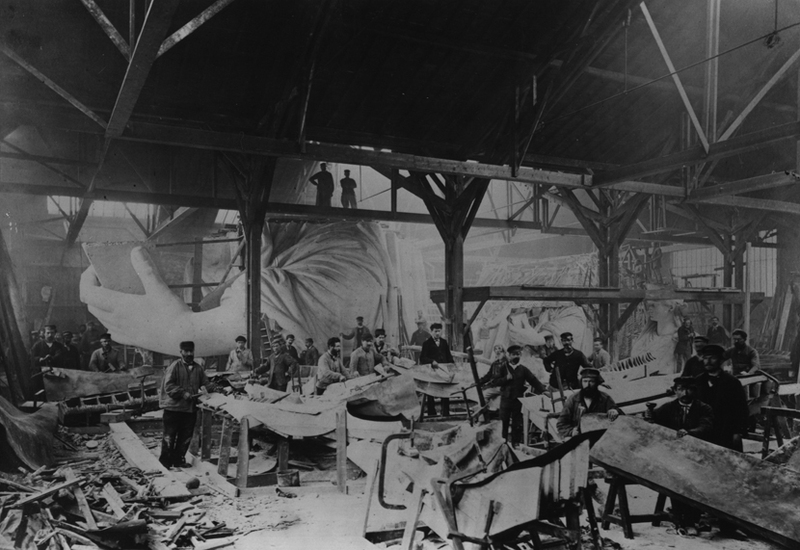 Nobody claims those works are held in the public trust, to be accessible to present and future generations. But why? Why are works owned by, say, the Warhol Museum held in the public trust, while works owned by, say, the Warhol Foundation are not? The 24 pieces of “Troy gold” jewelry that the Penn Museum of Archaeology and Anthropology lent to the Turkish government in a landmark agreement announced Sept. 4 may have a more complicated history than meets the eye. Archaeology professor Brian Rose, a curator in the museum’s Mediterranean section, believes the artifacts arrived at Penn after they had been previously stolen. “I’m virtually certain they were looted,” said Rose, who has spent time studying the jewelry. “The question is from which region were they looted.” Penn had originally purchased the jewelry legally in 1966 from an antiquities dealer in Philadelphia without knowing all the details surrounding the artifacts’ history. “We bought it because it looked very like the gold that was excavated at Troy,” Penn Museum Director Julian Siggers said. Art forgeries are once again in the news and getting more attention from law-enforcement agencies worldwide. 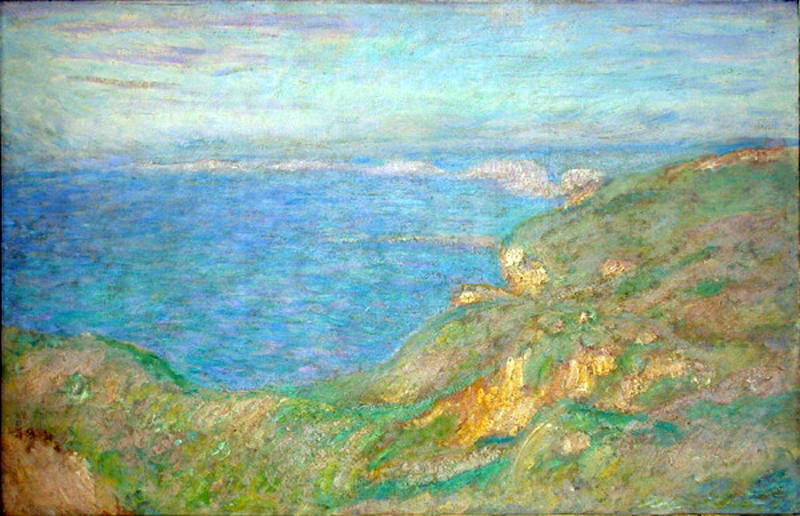 But recent cases, including those of the German forger Wolfgang Beltracchi, the FBI investigation into art sold through the defunct New York-based Knoedler gallery, and the forgery of Indian Progressive pieces by the UK faker William Mumford, are leaving victims unsure of the legal position of works not examined in a court of law. The problem is that few of the fakes identified in forgery cases are ever recovered, and if they are, may not be considered by a judge as part of a trial. In the case of Mumford, just 40 of the 900 forgeries thought to have been made were brought before the court. 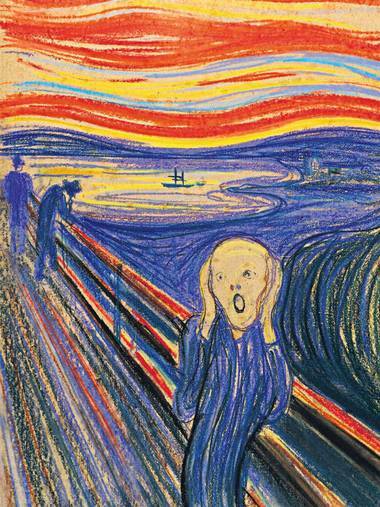 Only 12 of the 58 fakes that police believe were made by Beltracchi were examined in his trial in Cologne in 2011. So what about the rest? And what can you do if you think you have a forged painting? At the moment, it seems it is up to the victims to try to extract reparations. Abu Dhabi Police have thwarted the illegal Dh2.5m sale of four antique gold coins and a fake.And while four of the five coins were genuine, the fifth – also made of gold – appeared to be from the time of the 7th-century Umayyad caliph Abdul Malik ibn Marouan, but was a fake, Maj Gen Mohammed Al Menhali, the head of police operations at Abu Dhabi Police, told the Arabic-language daily Al Ittihad. A real coin from that period would have been worth around US$3m (Dh11m), he noted. Will Rome’s trash follow Hadrian outside the city centuries later? There are concerns over the proposed siting of a landfill near Hadrian’s villa. In New Orleans a man was sentenced to two years in prison and $327,000 in restitution for selling forgeries of works by Clementine Hunter. Rick St. Hilaire summarizes the expected forfeiture of a painting,Cristo Portacroce Trascinato Da Un Manigoldo after the loaned work from Italy was seized, the work will be returned to the family who was dispossessed of the painting by the Nazis. Yuck: A drunk Denver woman punched, damaged and urinated near the vicinity of a $30 million Clyfford Still painting. The 1866 wreck of the USS Narcissus in the mouth of Tampa Bay will become a Florida state archaeological preserve. Martin Kemp found the trial of five men in connection with Leonardo da Vinci’s Madonna of the Yarnwinder “deeply unsatisfying”. Me too. Creativity makes people feel uneasy. A Manhattan art gallery has offered a reward for stolen art. The Portable Antiquities Scheme, the voluntary program for reporting objects legally found in parts of the United Kingdom, has received attention for a racy brothel coin, called a spintria, or was it a game token? Finally, Tom King points out an interesting article (but no link) by Raimund Karl which describes an Austrian model of heritage management. I thought about posting a longer response and discussion, but sadly I’ve given up hope that the heritage advocacy sites on the interwebs can offer any useful forum for discussion. I’ve made a peer-reviewed case for what I think is best after looking at the law, policy and results. 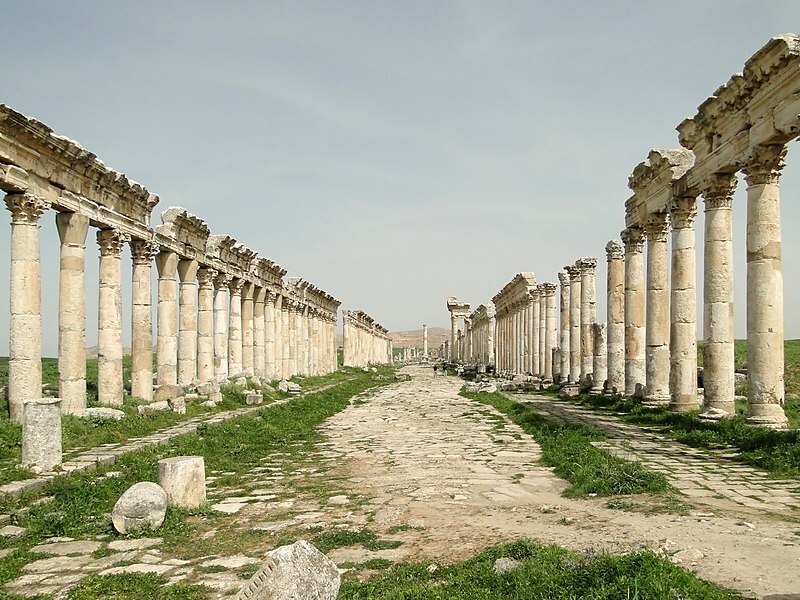 Widespread looting in Libya has not taken place, but perhaps not enough attention has been paid to Syria, where several sites in the city of Apamea have been vandalized and looted according to Syria’s news agency. The Minneapolis Institue of Arts announced last week that it will repatriate a “star” krater to Italy which appeared in Medici polaroids, and was acquired in 1983 by Robin Symes. The Getty will repatriate two objects to Greece, unsolicited. Does that mean James Cuno is ‘kindler and gentler‘? David Gill thinks this “makes sense”, and as usual has more questions (but no answers). ARIS announces a global art fund (Artemundi) will use title insurance as “part of its standard risk management protocol”. Applications for the VLA’s Art & Law Residency Program are due Oct. 17. On a two-week trip to Paris, Mr. Lacoursière found himself loitering in the Musée d’Orsay and the Louvre, which were in so many ways the exact opposite of his beat at home where he toured the dirtiest corners of the human psyche. He returned to Montreal, vowing to find a way to incorporate his long-time love of art with his police work. So he enrolled in an art history night course at a local university. Lee Rosenbaum is fired up that the city of Denver is selling four works by Clyfford Stills but did not give public institutions enough time to purchase the works (here’s my remedy). A Goya found, under a Goya. A Renoir has been stolen here in Houston. It’s a remarkable journey for a girl who fled Mogadishu in 1991, aged 14, as Somalia descended into the chaos of civil war. Driving her forward is the urge to uncover and preserve a cultural heritage that has been systematically looted, both in colonial times and more recently by warlords trading national heritage for guns.